The Village of Grayslake, Illinois, has engaged SiteSeer Technologies to use its analytics software, SiteSeer Professional, to help the town assess its current retail and restaurant landscape and identify opportunities for intelligent retail and restaurant expansion. Through its Grayslake Business Partnership, the Village will use SiteSeer Professional to assess the potential of sites throughout the area and identify growth opportunities for the town. 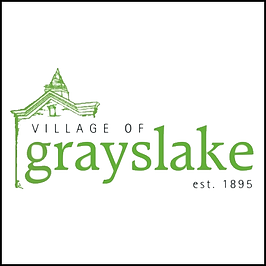 The mission of Grayslake Business Partnership is to attract new businesses and expand existing ones in the Village of Grayslake to make a positive impact on the financial and quality of life of its residents and businesses. To learn more about the Grayslake Business Partnership, visit http://www.grayslakeforbusiness.com. SiteSeer Technologies, LLC, provides a suite of software, professional services, consulting and support for site selection and market analysis. Its flagship Software-as-a-Service, SiteSeer Professional, is a web-based analytics platform that helps businesses make data-driven location decisions through mapping, demographics, custom reporting, analytics, and predictive modeling tools. The SiteSeer Professional product suite also includes customer intelligence software, a real estate analytics tool (Void Analysis Pro), and a territory management tool (Automated Territory Optimization Model (ATOM)). Learn more at http://www.siteseer.com. ©2017 SITESEER TECHNOLOGIES LLC. ALL RIGHTS RESERVED.